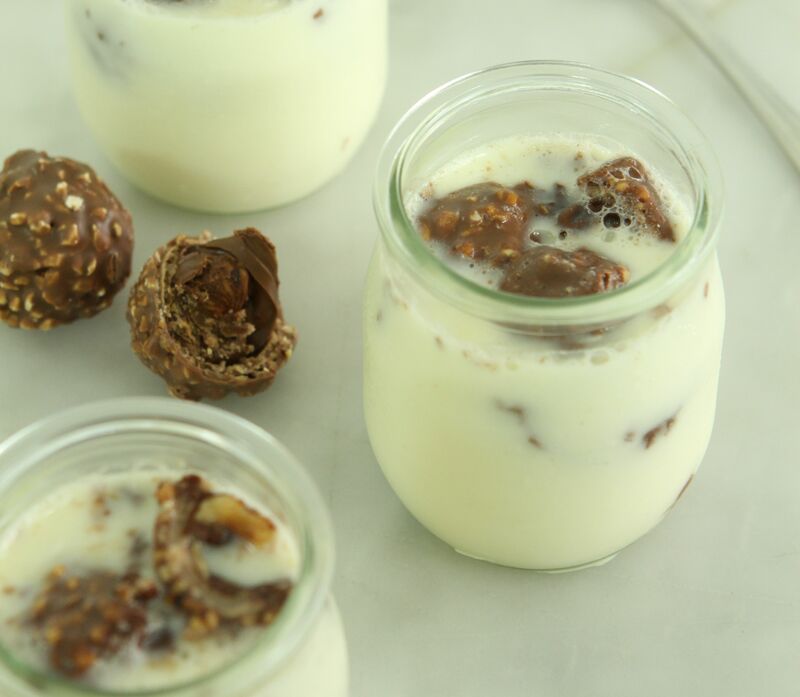 If you’re wondering what recipes to whip up with all the Ferrero Rocher your guests give you, this Ferrero Rocher Pannacotta recipe is what you’re looking for. This recipe was first published in Flavours magazine. Arrange the chocolates in the jars and freeze for at least 1 hour. In a saucepan, combine milk, cream and sugar and bring to a boil. Remove from heat and pour over gelatin. Whisk until well-combined, and set aside for about 20 minutes. Divide the mixture among the jars and chill for 1 hour or until set. Place 1 chocolate on top of each pannacotta just before serving.